The Royal Navy's successful invasion of Jamaica in 1655 had a lot of terribly negative outcomes. The commanders ended up in the Tower of London. Many of the English sailors fell sick or starved. A lot of Spanish settlers died. But there was one undeniably positive outcome: rum. Abundant Wi-Fi is one of the best 21st century conveniences. But while the ease of an open hotspot may be enticing, be careful: Hackers are constantly looking for vulnerable access points intercept data. Earlier today we reported on a huge internet vulnerability plaguing the hospitality world. Networking equipment often used by hotel chains had a gaping security hole that allowed hackers to gain access into the network and monitor and tamper with any traffic that flowed through. Anyone who used the hotels' Wi-Fi stood the chance of having their traffic intercepted. We asked the security expert behind this finding, Justin W Clarke, if he thought this meant that all hotel Wi-Fi networks are a hot-bed for nefarious cybercrime. He wouldn’t go so far. Clarke is a researcher that sees vulnerabilities like these all the time. This week's discovery, while frightening, is an example of the need for security diligence, and for businesses to ensure their infrastructure is secure. “The reality,” Clarke said, “is that there’s no perfect way to access the internet.” He added that personally he would think twice before checking his bank account at a hotel or cafe. This gets at a critical point most people overlook. This week's finding isn't about hotels per se; it's about the freewheeling nature people have when they surf the web. People quite often share their data in potentially unsecure environments. On the extreme opposite end, some individuals may use separate computers only to check their financial information. There's a middle-point, where people are more mindful of if their data can get intercepted. It's probably wise to not log personal information unless you're absolutely sure about security. Unless you are in your own private n! etwork, it’s hard to be sure where your data is going. Additionally, there are safeguards users can adopt to further protect themselves. People can use a virtual private networks (VPNs) to encrypt their traffic. In fact, that’s what many security experts — including Clarke — do when using public hotspots. Use common sense. Just think: What am I accessing right now? Is it private? Is my network private? Would it be bad if a third-party could intercept this traffic? Then proceed. SSDs and other flash memory devices will soon get cheaper and larger thanks to big announcements from Toshiba and Intel. Both companies revealed new "3D NAND" memory chips that are stacked in layers to pack in more data, unlike single-plane chips currently used. Toshiba said that it's created the world's first 48-layer NAND, yielding a 16GB chip with boosted speeds and reliability. The Japanese company invented flash memory in the first place and has the smallest NAND cells in the world at 15nm. Toshiba is now giving manufacturers engineering samples, but products using the new chips won't arrive for another year or so. At the same time, Intel and partner Micron revealed they're now manufacturing their own 32-layer NAND chips that should also arrive in SSDs in around a year. They're sampling even larger capacity NAND memory than Toshiba, with 32GB chips available now and a 48GB version coming soon. 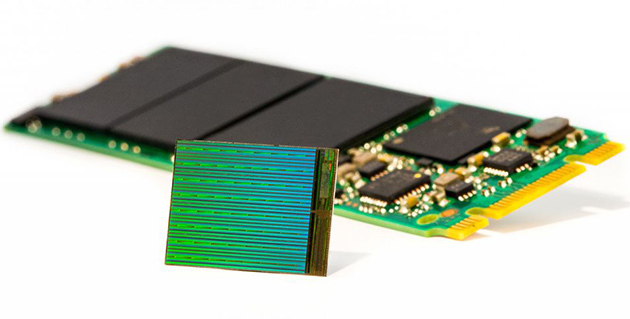 Micron said the chips could be used to make gum-stick sized M.2 PCIe SSDs up to 3.5TB in size and 2.5-inch SSDs with 10TB of capacity -- on par with the latest hard drives. All of this means that Toshiba, Intel/Micron and companies using their chips will soon give some extra competition to Samsung, which has been using 3D NAND tech for much longer. The result will be nothing but good for consumers: higher capacity, cheaper SSDs that will make spinning hard disks sleep with one eye open. The number of US digital video viewers on desktop fell to its lowest point in eight months during February, according to comScore data. 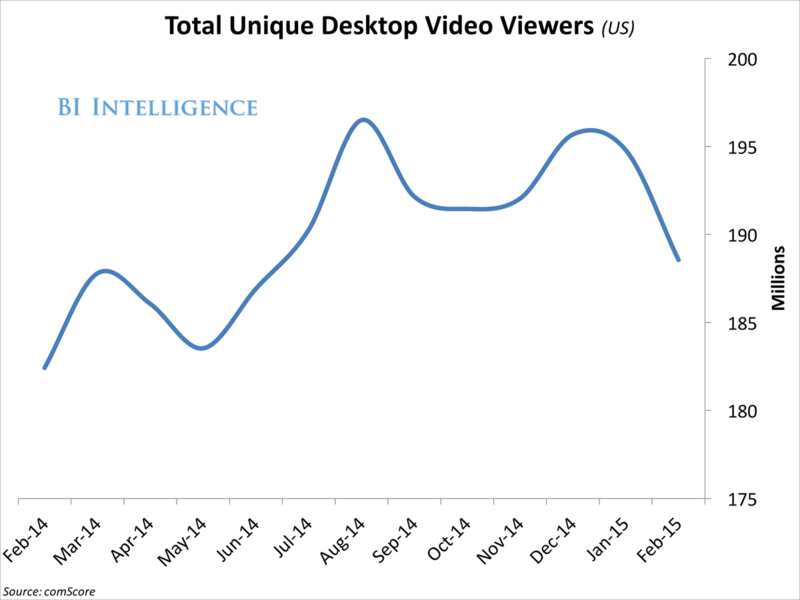 US desktop-video viewers totaled nearly 189 million in February 2015, down by about 6.3 million viewers from the prior month, and up by a tiny 3% year-over-year. The declines point to increased video viewership on mobile devices. For comparison, the average monthly audience for video on smartphones increased by ~20% during the final quarter of 2014, according to Nielsen. The results highlight the importance of optimizing video for mobile. Google and Facebook both offer popular dedicated mobile apps with robust video-playback features and massive installed bases, while third- and fourth-ranked video platform AOL and Yahoo trail far behind in this respect. Oh man, this video is absolutely horrifying. Put together by AAA, it shows how distracted teenagers are when they drive. You see drivers take their eyes off the road to text, people ignoring cars while they're on the phone and a lot of them just not paying attention at all. You get to see the side-by-side of what they're doing vs the dash cam footage of the car. Google has offered an option to reduce the amount of data Chrome uses on Android and iOS for a while, and now it's rolled out an extension to do the same for desktop users. Just like the mobile option, it works by compressing the data on Google's servers first -- click here for more info on how it works -- before sending it on, and claims some pages can be reduced in size by as much as 50 percent. VentureBeat spotted Data Saver (beta) in the Chrome Web Store, where the description notes that just like on mobile, it doesn't intercept SSL-protected or Incognito tabs to protect user's security and privacy. Proxy-based compression is hardly a new concept, but if you're a heavy Chrome user then now you have a Google-powered option, especially if you're on a tethered connection or somewhere else it pays to be bandwidth-conscious. During its annual F8 developer's conference, Facebook showcased how immersive and realistic gaming could look on the Oculus virtual reality headset this year. The company's CTO Mike Schroepfer said virtual reality gaming would be coming this year on a device shipped by Oculus when speaking on stage. There's no final release date for the consumer version of the Oculus, but it's clear that Facebook has big plans for its future. The company is convinced that 2015 will be the year of virtual reality. Schroepfer says the technology is finally advanced enough to bring VR to the mainstream and succeed where others have failed. Amazon leans heavily on warehouse robots to assist workers and fulfill your orders on time, but these machines still can't pack items quickly enough to replace humans. However, the internet giant is determined to make these mechanical helpers more useful. It's holding a competition at a conference this May to see who's best at producing an autonomous robot that grabs products off shelves and stuffs them into boxes. This may sound like a relatively straightforward challenge, but it isn't -- the bots have to grab a variety of objects while breaking as little as possible, including fragile things like food. Although the victor only gets $25,000, there's potentially a lot of prestige involved. Amazon will no doubt be interested in doing business if there's a clear winner, and the techniques developed in the challenge could apply to other robots where a delicate touch is necessary. Either way, there's a real chance that Amazon will take one step closer toward highly automated shipping hubs. And that's not necessarily a bad thing for the human staff. 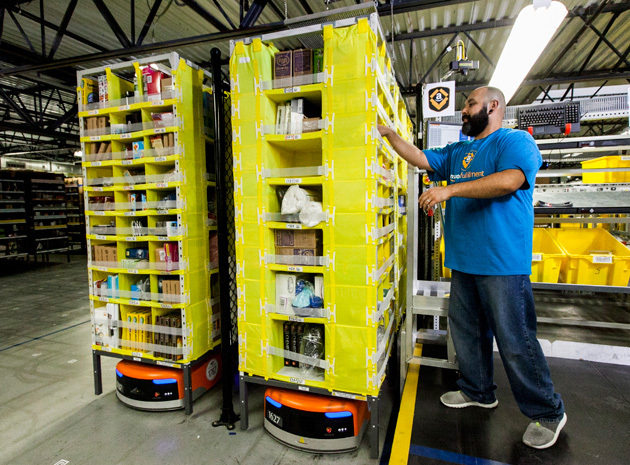 While Amazon might end up replacing employees with robotic packers, such a move could also help people cope with crushing holiday workloads and let them focus on more exciting (or at least, less monotonous) tasks. If Carbon3D's capability to print out objects 25 to 100 times faster than usual is the reason why you can't wait for it to come out, then you'll love this machine, as well. An Australian company has announced that it's also working on a super speedy 3D printer called Gizmo 3D. It creates objects out of liquid resin using a method that prints layers from the top to the bottom without breaks. This occurs within the vat of liquid resin itself: the build plate or the bottom of the vat was designed to slide downward, revealing more of the shape as its moves. The process makes it look like items are being animated in real life instead of being printed out, as you can see in the video below. It takes the printer only 6 minutes to create an object that measures 5 inches x 3 inches using this technique. Gizmo 3D founder Kobus Toit is keeping the full details of his technology under wraps, though. He wants to wait until his Kickstarter campaign has launched in September to reveal the printer's secrets. When the device does land on the crowdfunding website, you'll have to pony up at least $2,500 for the most basic model, or at least $6,000 for the fancier one. Samsung has taken a commanding lead in next-gen SSDs that blow away old-school models, but it finally has some competition. 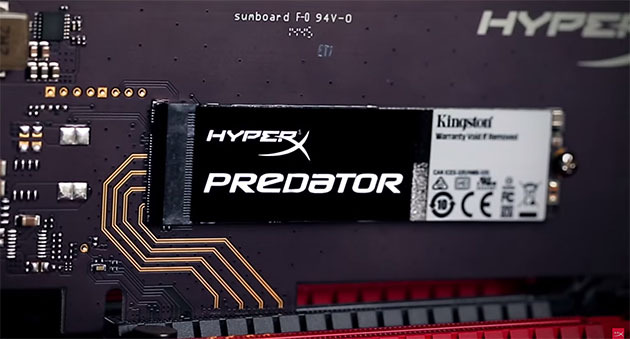 Kingston's HyperX Predator PCIe SSD is now available with read speeds touching 1.4GB/s. That's still a far cry from Samsung's latest SM951 SSD, which reads at a ridiculous 2.2GB/s. But unlike Samsung's OEM-only model, you can actually purchase the Predator PCIe and jam it into your own PC build or laptop. You'll need an M.2 SSD slot to do so (preferably with four PCIe lanes), but if that's missing, Kingston will supply a PCIe slot adapter for an extra ten bucks or so. Write speeds run at 1GB/s, and random read/write IOPS are a scorching 130,000/118,000 random. For that, your wallet will also get scorched: it's around $460 for the 480GB model ($230 for 240GB), or nearly double a regular HyperX 480GB SATA III drive. But that matches the price of Samsung's similar XP941 model, and prices will likely fall quickly now that there's some competition. Anyway, the performance is also more than double, and you can't put a price on bragging rights. 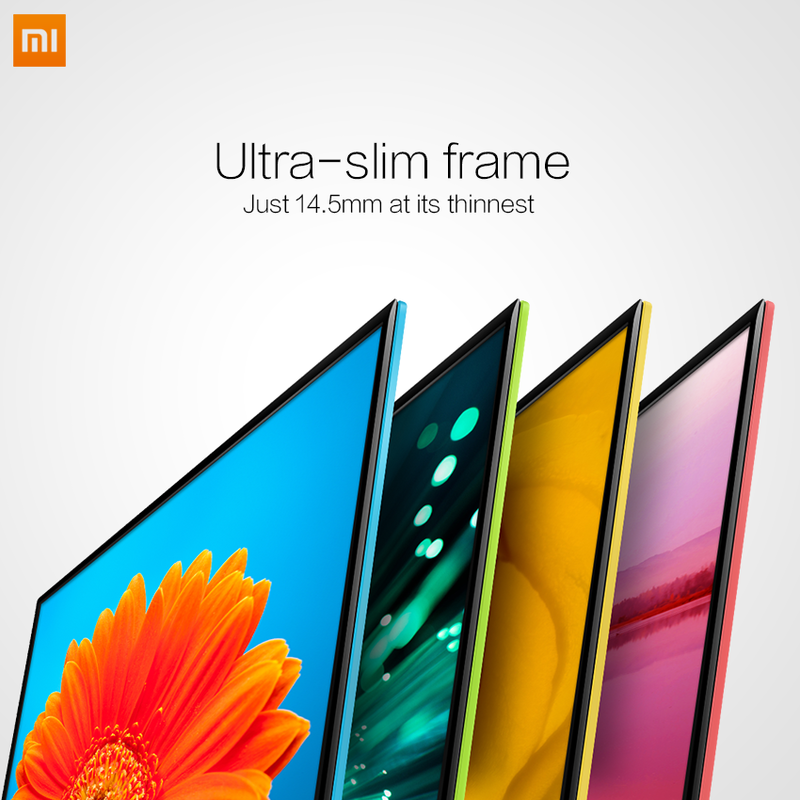 Xiaomi has made quite a name for itself by selling high-end products at dirt cheap prices. 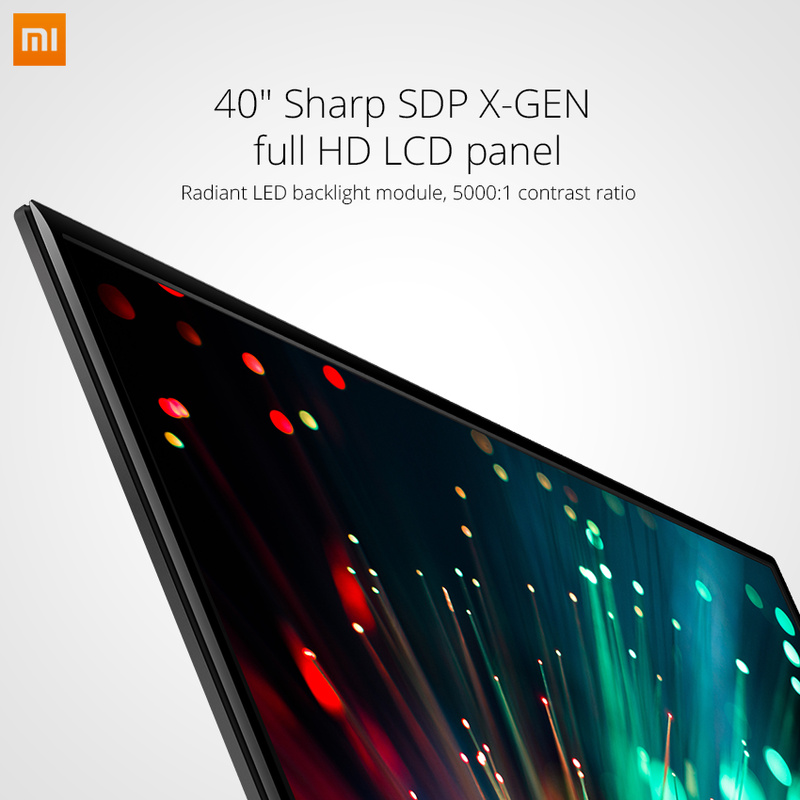 But if you thought its phones and tablets were cheap, wait until you see Xiaomi's Mi TV 2, a 40-inch Android-powered smart TV that costs just a paltry $320. 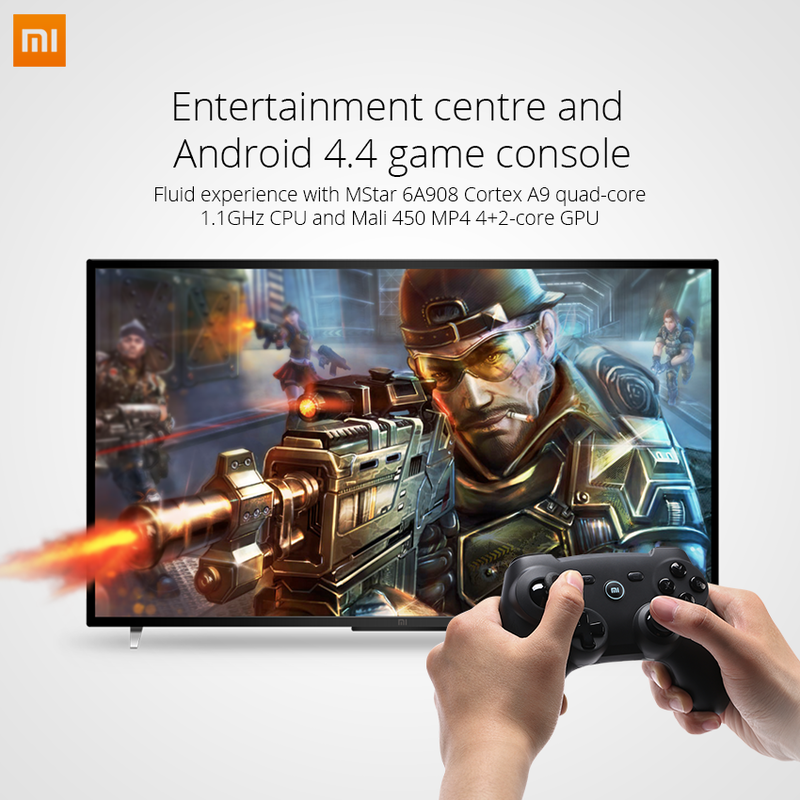 There's a lot to love about the TV's specs, which includes a Sharp-built monitor and fast, powerful chips to handle the Android-based OS. It also supports all kinds of video and gaming formats, it's super thin, and you can even buy it with one of several bright candy-colored casings, which are both fun and reminiscent of the company's colorful tablet lineup. But again, there's no beating that $320 price point for this brand of television. You can find 40-inch TVs at retailers like Best Buy and B&H around that same price point, but they're all extremely basic in terms of features, and don't include any of the internet-related capabilities you'd find in any smart TV. In February, Xiaomi announced it would start selling products in the US this year, with the exception being its popular line of smartphones and tablets. Hopefully the company considers stocking these cute, ultra-cheap TVs on this side of the Pacific Ocean. 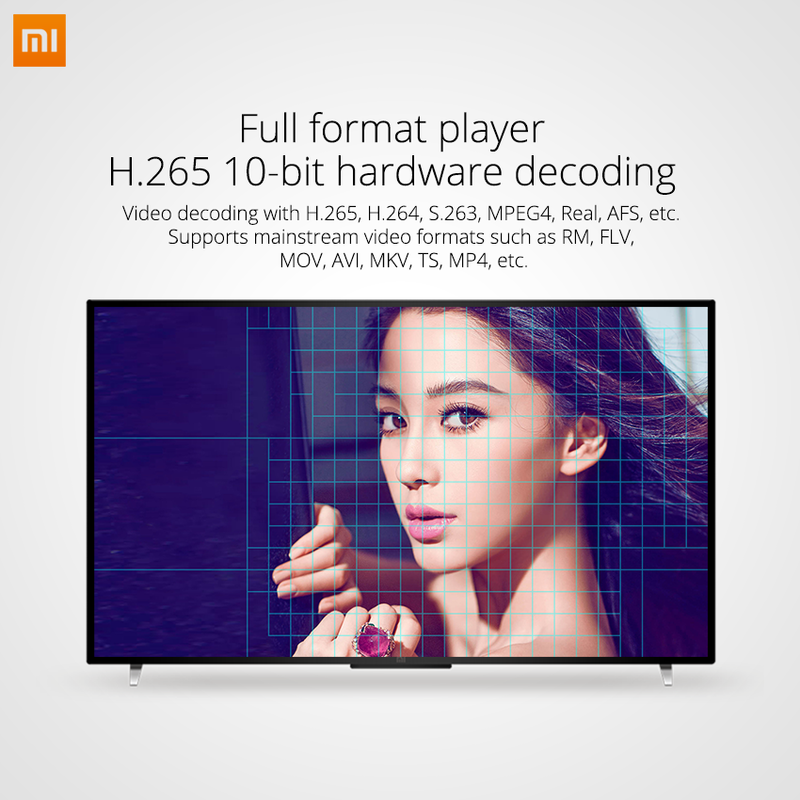 We first heard about these new Xiaomi TVs over ! at Gizmodo. Check out more photos below. Ben Fischman, founder of flash sale fashion site Ruelala, has raised a $14 million seed and series A round for a new startup, M.Gemi. M.Gemi launched Tuesday to make beautiful Italian shoes more affordable for international markets — like American shoppers. Fishman says hand-crafted shoes made in Italian factories often cost $500 to $2,000. M.Gemi's cost between $98 and $300. Investors include General Catalyst, which also invested in Ruelala, Forerunner Ventures and Breakaway Ventures. M.Gemi sells items from small Italian specialty factories straight to consumers. Cutitng out traditional retailers like Nordstrom or Neiman Marcus keeps the price of the shoes down. "Rather than being a wholesaler, we’re more efficient from an expense perspective [than other shoe companies] so a factory sells products to us and they can make their margin, yet we're still able to sell at a lower price point," Fischman tells Business Insider. Another selling point Fischman promotes is that his shoes are crafted so that fit and comfort are consistant. 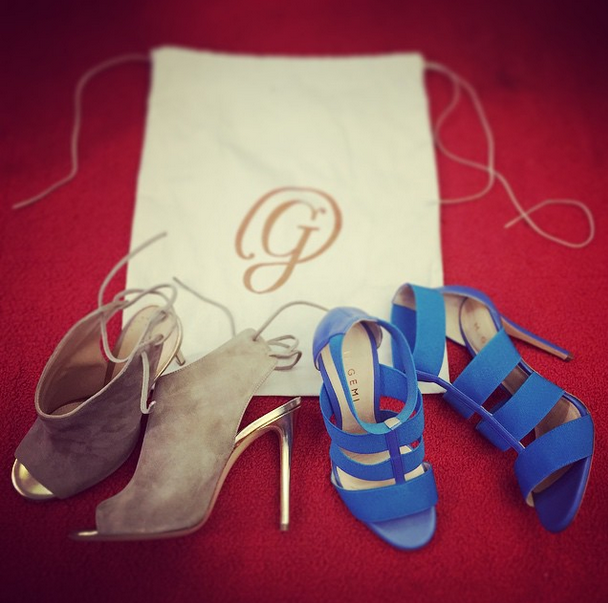 M.Gemi sent two pairs of pumps over to Business Insider to try on. They were 3- to 4-inch heels and even though the styles were totally different, they felt similar to wear. A size 37 strappy sandle fit roughly the same as a size 37 bootie. "Built on 'formas' that shape the toe, heel and pitch of each shoe, M.Gemi footwear is consistent from shoe-to-shoe," M.Gemi boasts. "Once a client finds a fit she likes, she can shop for more styles in the same forma, and not think twice about size. While styles will constantly change, fit will not." Fast-fashion is also something M.Gemi will capitalize on. Stores like H&M and Zara have made big businesses out of noting what's in style now and getting similar items in stores quickly. M.Gemi will note what's on trend and produce the shoes rapidly; Fischman says it takes his team 60 to 90 days from concept to online retail. If a shoe sells out on the site, more pairs can be ordered and live again within 30 days. Only a few shoes will be available on M.Gemi at a time. Every week, new shoe styles will be released. 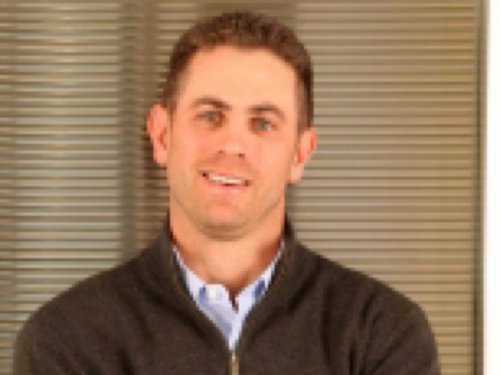 Fischman left Ruelala two years ago, following a $350 million sale to GSI Communications, then another later sale to eBay. Fischman spent a year traveling across Italy closing factory partnerships for M.Gemi and launching an Italy office. "It's quite similar to a Warby Parker model," Fischman says. Only he thinks shoes will be a better business than glasses. "We’re selling a product we believe will lead to a lot of repeat purchasing versus products you need occasionally."